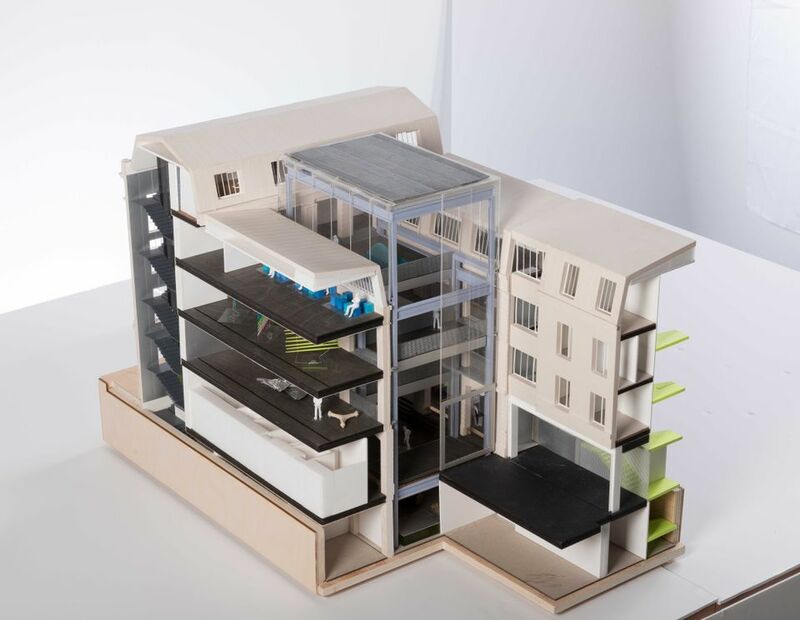 The most radical art space to launch in Paris in decades will open next spring in a five-storey, 19th-century building in the Marais district. 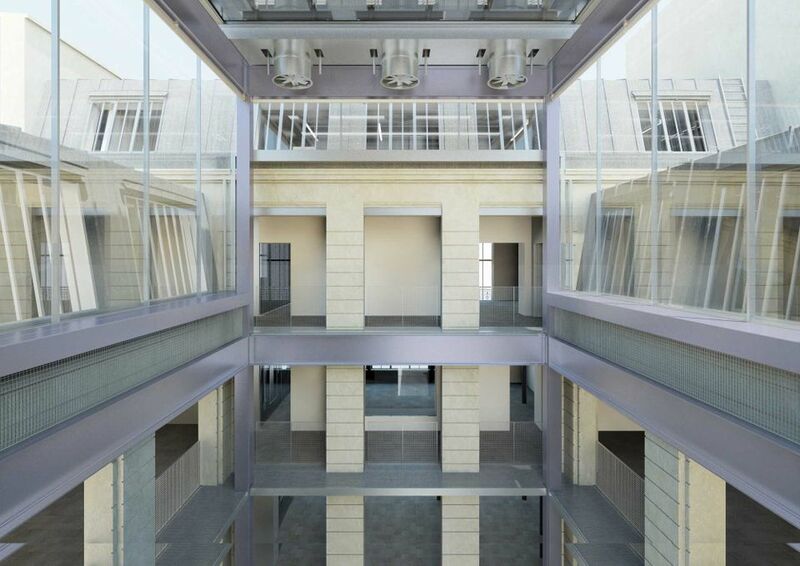 The Fondation d’Entreprise Galeries Lafayette, run by the eponymous French retail chain, commissioned Rem Koolhaas and his OMA company to renovate the historic building at 9 rue du Platre. The new space, due to open to the public 10 March, will be the headquarters for the foundation’s cultural arm known as Lafayette Anticipations. OMA has placed a glass and steel exhibition tower in the building’s courtyard, which operates as a ‘curatorial machine’,” according to a project statement. This tower incorporates four mobile platforms that move in and out of sight, allowing 49 different spatial configurations. As the floors move, galleries of varying sizes with different ceiling heights are created. In the basement, artists will make works in a production workshop. The established New York-based artist Lutz Bacher will show new works across the venue for the inauguration. “For her first monographic exhibition in France, Lutz Bacher conceives an installation that highlights the building’s verticality as renovated by Rem Koolhaas,” the organisers say. Bacher will reference Parisian structures and landmarks, including its famous department stores—presumably encompassing Galeries Lafayette.